$25.5 - This new dress by Hayden will be having your little fashionista swooning over stripes this season. 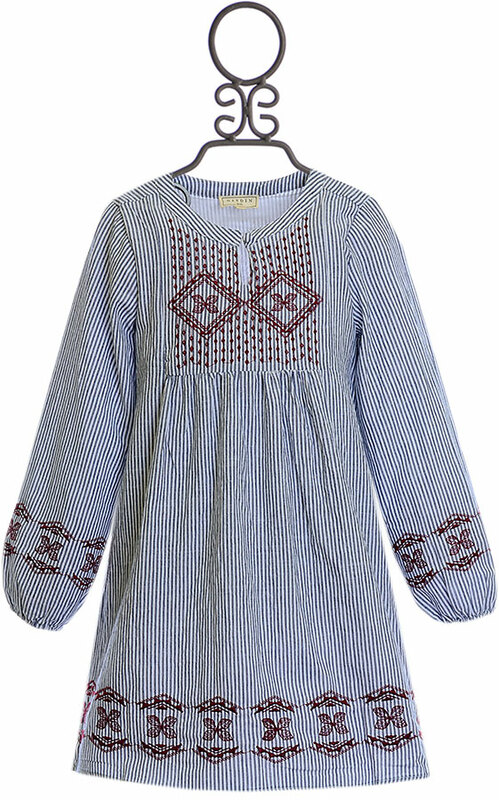 With a smock style and relaxed fit, your tween can throw on this dress for an effortless but stylish look for school. Burgundy embroidery is found on the top, bottom, and sleeves of the dress. A small keyhole is added to the neckline. Pair this dress with a pair of leggings and boots to have some serious fashion vibes coming from your tween this winter.